The river is incredibly low. In places there are huge carpets of duckweed on the surface and filamentous algae on the stones bung up the hooks of the lure for a pastime. 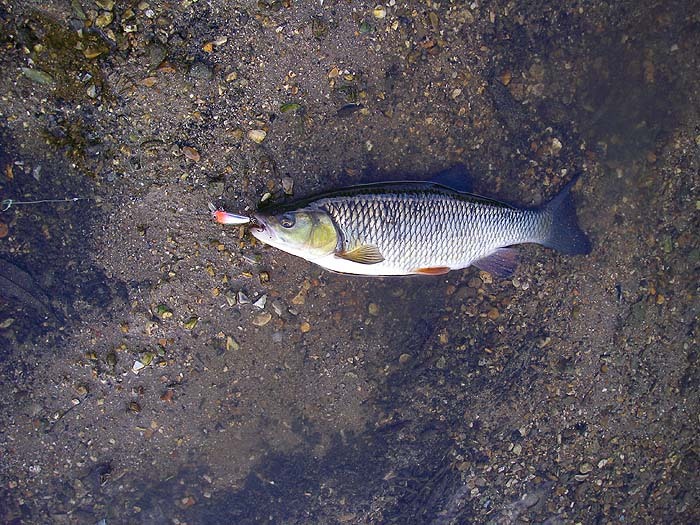 However, it is still possible to induce fish to take a lure. On my latest trip I used a small, slow-sinking but shallow diving, plug that looks a bit like a brightly coloured minnow. 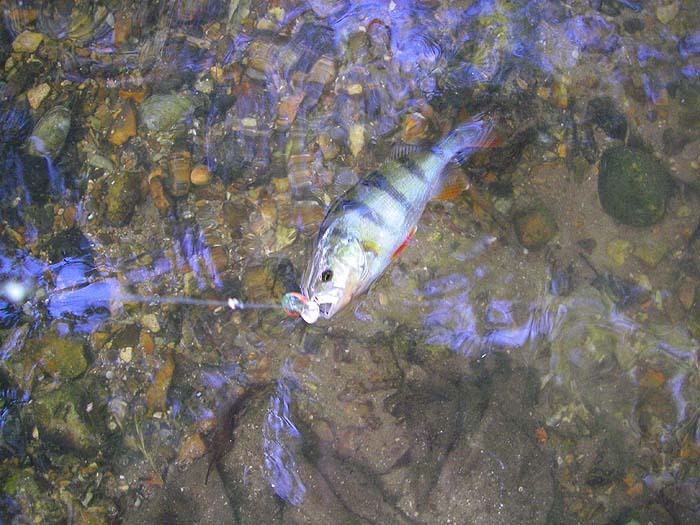 As long as I start to wind as the lure hits the water it is possible to zip it across the shallowest stretches. 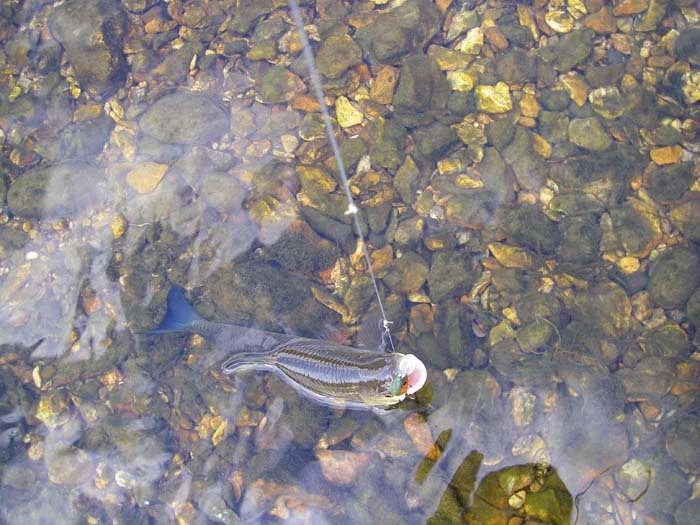 I'd barely started fishing when, after an upstream cast into a fast flowing run, there was a tug and then a great bow wave followed the lure downstream for several metres. The trout (it was a beauty) refused to have another go. Perhaps, next time?. 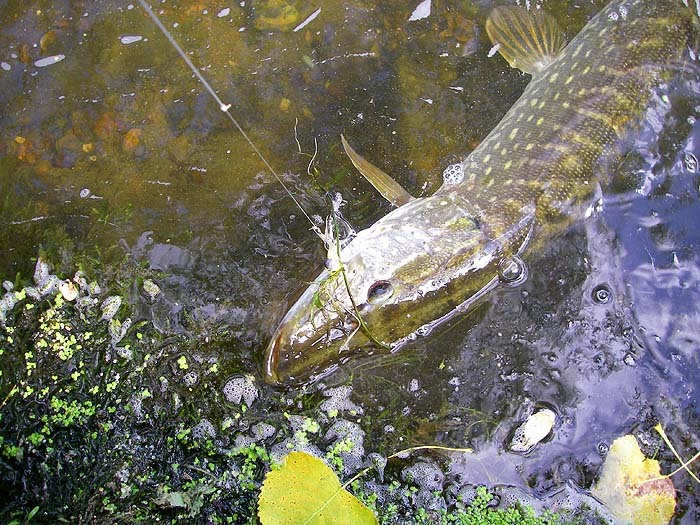 I fished on up and as I reached the next pool up I had a 'soft' take and found myself playing a pike. 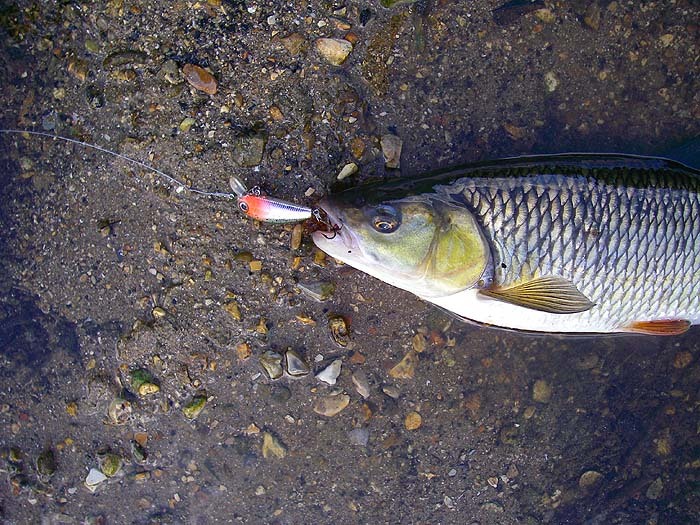 After releasing it I had a cast downstream into the shallows again and hooked a chub. 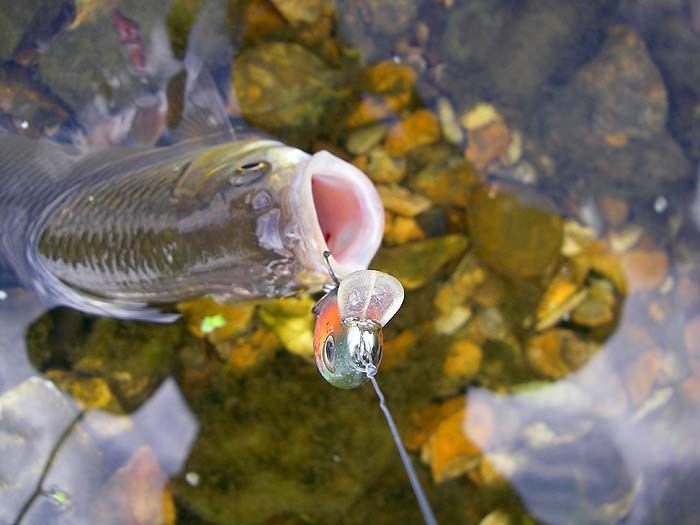 Considering the lengths that coarse anglers go to, with ultra fine lines and tiny hooks, when they are bait fishing for chub and the like, it always amazes me that the fish will take lures fished on the crudest of tackle (I was using 15lb wire tied to a short, looped, 15lb Amnesia trace). Of course I might do better if I scaled down a bit but I'd surely leave a few more lures in bushes on the far bank. On the next stretch I found a very shallow gravelly glide that deepened a little under an overhanging bush on the far bank. It was stuffed with small perch. I dropped a perch that might have been a pound or so and an upstream cast produced a second chub. All in all a very satisfying couple of hours for a sunny September afternoon. Lots of fish and three species - four if you count the missed trout - despite the unpromising conditions.